Achávalite: Mineral information, data and localities. 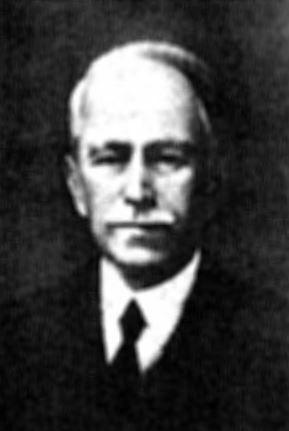 Named after Luis Achával (June 8 1870, Córdoba - March 20, 1938), civil engineer. Professor at Universidad Nacional de Córdoba. Author of "Geografia de Córdoba" with Manuel Rio and president of Academia de Ciencia (Academy of Science). Never adequately described, in need of modern reinvestigation. A phase "Fe(Se,S)" is reported by Yakovleva et al. (2001). The Fe analogue of freboldite; chemically also the Fe analogue of klockmannite, and sederholmite (all have the same space group). Also chemically the Se-analogue of troilite. Renamed by IMA in 2015 (IMA 15-E): Spelling changed from achavalite to achávalite. Min. Abs. (1953), 12, 236. Bernardini, G.P., Mazzetti, G. (1979) Phase relations in the copper-iron-selenium system at 900 and 700C. Rendiconti della Societa Italiana di Mineralogia e Petrologia: 35: 71-90. Franz, E.D. (1972) X-ray diffraction data on mixed phases in the pyrite (FeS2)-ferroselite (FeSe2)/pyrrhotite (FeS)-achavalite (FeSe) system. Neues Jahrbuch für Mineralogie, Monatshefte: 1972: 276-280. Strunz, H., Nickel, E.H. (2001) Strunz Mineralogical Tables. Ninth Edition. Schweizerbart, Stuttgart. Brodtkorb, M.K. (2002) Las Especies Minerales de la República Argentina (1. edition) Asociación Mineralógica Argentina, Buenos Aires. Wyckoff, R.W.G (1963): Crystal Structures: 1: 85-237 (Second edition). Interscience Publishers, New York. ⓘ Sierra de Cacheuta ?